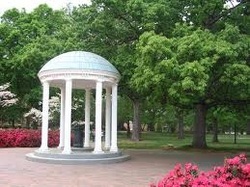 Calendar of Chapel Hill/Durham Events - Family Fun Carolina - Fun At Your Fingertips! Kidzu Children’s Museum is an interactive museum for young children and families located in downtown Chapel Hill, NC. Our mission is to inspire children and the adults in their lives to learn through play. We offer weekly programs for young children (0-8 years) and feature an original exhibit, "KidZoom: The Power of Creativity," celebrating our community's creativity. Kidzu also provides field trips for schools, preschools and child care centers and other groups and is a great location for birthday parties. We invite you to stop by and check us out. We can’t wait to see you at Kidzu! TK's Jungle is a rainforest themed,indoor inflatable jump zone based on the vision establishing a safe, clean and friendly environment where children and parents can play and socialize together. TK's Jungle offers children of all ages the opportunity to jump,slide and climb on the most extensive 22 foot high inflatables in the area! Chuck E. Cheese's features age appropriate games, rides, prizes, food and entertainment that children of all ages from toddlers to big kids will love. We also provide great food for the family including freshly baked pizzas and a garden fresh salad bar. We are a great place to take the kids for everyday fun or for special occasions such as birthdays, play groups and school fundraising. Located in Raleigh and Durham. Morehead Planetarium and Science Center is the place for curious young minds and their families. Morehead offers family science workshops all year round, Saturday enrichment classes for children in the spring and fall, And of course, Morehead wildly popular camp program every summer! Our mission is to create a place of lifelong learning where people, from young child to senior citizen, embrace science as a way of knowing about themselves, their community, and their world. There’s always something going on in Youth Services! Many of our programs are offered year-round and provide a great way for children (and their parents) to experience and learn more about the library. Sarah P. Duke Gardens offers a variety of programs for children, families, and students. Our programs are designed for children to explore and discover the complexity of the Garden environment. Programs explore the total garden environment discovering the inter-connections between plants, animals, and people. We offer school programs and public programs guided and self-guided. These programs include tours, scavenger hunts, sensory walks, games, in-depth explorations, classroom programs, amphitheater programs, story time, camp, pre-school workshops, performances, and more. All programs are age appropriate, hands on, and are created to offer learning opportunities for all children who visit the Gardens.